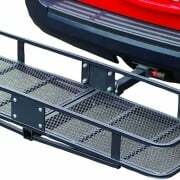 Trailer Hitch Cargo Carrier Folding - 2"
Trailer Hitch Cargo Carrier Non-Folding - 2"
As a happy camper, you'll likely notice that motorhome owners have towing hitches, or a towing receiver mounted just below the rear bumper of their vehicle. Whether you own a RV or a camper trailer, you need to be prepared for long travels which is why it is important to have these motorhome accessories such as on all hitch and tow necessities to ensure you're never stuck or stranded while you’re out on the road. When it comes to getting prepared in hitches and towing, it's easy to focus on the hitch itself. But a hitch won't get you very far without some important RV camping accessories. 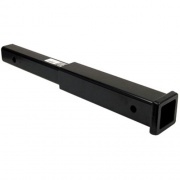 A trailer hitch is the primary connection component in a towing system that attaches a trailer to your tow vehicle. 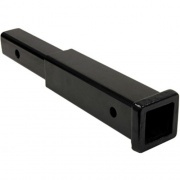 To make the connection complete, a trailer hitch requires trailer parts such as a ball mount and trailer ball. 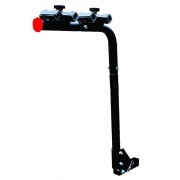 A receiver hitch is the most common in trailers which mounts to the frame of the vehicle and provides a receiver tube to accept a ball mount or other insert. 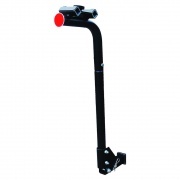 Selecting the correct type of trailer hitch for your vehicle and trailer is important as your life depends on. 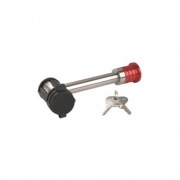 Many of the RV camping accessories made for your hitch the device that connects the tow vehicle to the trailer are designed to keep you, your company and your cargo safe. There are factors that you’ll have to take into consideration before you hitch a trailer up to your vehicle or RV. 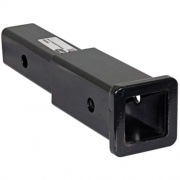 Receiver hitches have one of five classes, based on weight carrying capacity and receiver tube size. 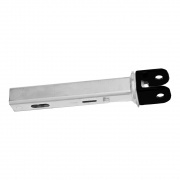 Hitches are classified by their maximum weight capacity rating and receiver opening size. Each class has its own unique capacities and applications. Classes range from I (1) which is the lowest weight capacity and smallest opening size to V (5) which is the highest weight capacity and largest opening size. Themaximum loaded weight of your vehicle. The maximum weight that can be placed on your front or rear axles. Total weight of the trailer and its cargo. Downward force exerted on the back of a tow vehicle by a towable load. 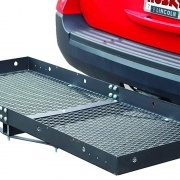 Before you embark on your long drive, make sure you check the hitch, coupler, ball mount, safety chains and other travel trailer accessories such as hitch extenders and adapters that connect the trailer and the tow vehicle they are properly secured and adjusted. The wiring or chain supports should not touch the road to avoid unnecessary hook up or tie ups in the support in the ground where accidents could occur and it should be loose enough to make turns without disconnecting or damaging the wires. Check also the tow vehicle and the trailer’s lights such as brake lights, reverse lights, turn signals and hazard lights if they are working properly. Make sure your side and rear-view mirror have good visibility. Be mindful of your routes and restrictions on bridges and tunnels. Different vehicles have different towing capabilities such as the handling of weight capacities and reading the vehicle owner's manual will tell you how many pounds your vehicle can safely tow. 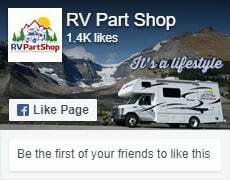 Be a responsible and an intelligent camper; visit your trusted RV camping supplies so you could get RV parts and accessories.